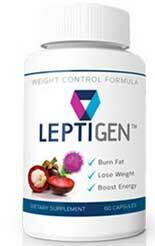 Leptigen is a diet pill made in the USA by Green Bracket, LLC. 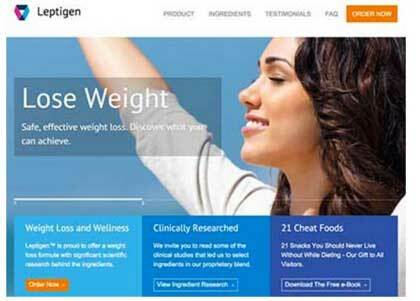 The company also appears to own the diet pill review site Diet Spotlight and market the exact same product under the name Burn TS. The company has been in the diet pill business for a long time, but it’s pretty fair to say neither of their two versions of this product has succeeded in setting the world on fire. Read our in depth review with customer comments. What Is Leptigen and How Does It Work? Other than the fact that it contains a little-used ingredient called Meratrim, there is not really anything that special about Leptigen. Like thousands of other diet pills, it’s designed to accelerate fat loss by helping users to create a calorie shortage within their bodies. 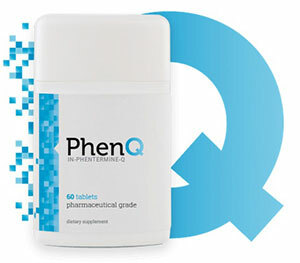 The pills are intended to achieve this by suppressing the appetite and boosting the metabolism. When the appetite is suppressed it becomes easier to eat less food because you no longer feel so hungry. A faster metabolism burns more calories per day. After having taken a look at the ingredients, we are not seeing anything that would make Leptigen particularly useful to anyone who has reached a plateau, but the formulation does contain some chromium to help control blood sugar levels and prevent carb urges. Meratrim (400mg): A proprietary blend that consists of sphaeranthus indicus (East Indian Globe Thistle) and G. mangostana (mangosteen). One study seems to suggest the blend may support weight loss, but the participants in the study had to adhere to such a reduced-calorie diet it would have been impossible for them not to lose weight and they also had to take 30-minute walks, 5 days per week, for 16 weeks. Green Tea Extract (200mg): Green tea is a popular ingredient and diet pills that don’t contain it are in the minority. 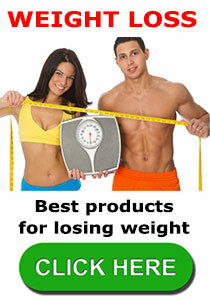 It’s a natural fat burner that is proven to work and can continue doing so for up to 24 hours. Chromate: (100mcg): A branded form of chromium that is unlikely to offer much advantage over the standard form. Chromium is a mineral that regulates blood sugar and insulin levels and prevents the post-eating blood sugar crashes that can cause carb cravings. Natural Caffeine USP (75mg): A stimulant that is prized for its ability to boost energy levels and mental focus. Caffeine can be good for fighting diet-related fatigue and is also a proven fat burner. Usage Instructions – One capsule is required twice per day. Both doses should be taken 30 minutes before a meal, and customers are encouraged to drink at least eight glasses of water per day. Unfortunately, the majority of customer reviews are very bad, but there are a few good ones. Some customers state using the product made them ill.
We strongly suggest not using this product without a doctor’s approval. With a cost of well over $100 per bottle (lasts 30 days), Leptigen stands a good shot at being the most expensive diet pill on the market and that’s when buying from the official site. The Amazon price is closer to $200. Green Bracket used to offer a free trial and many customers lodged complaints with the Better Business Bureau, claiming their acceptance of the free trail resulted in ongoing charges being applied to their credit cards. The trial is no longer available, but the fact that so many complaints have been made is not confidence building. Green Bracket alleges the product is backed by a 120-day money back guarantee, but many customers who were unhappy with the product state the guarantee was not honoured. We even found a complaint made by a customer who was unable to return an unopened bottle of pills. This is a ridiculously expensive product and customers aren’t really getting a lot for their money. The two best ingredients are probably green tea and chromium and their presence should help encourage some degree of weight loss. Neither one is likely to be responsible for the side effects some customers claim to have endured and the amount of caffeine provided is less than that provided by a cup of coffee, so it is unlikely to be the culprit either. That only leaves Meratrim and suggests its presence may be more trouble than its worth. If you want to pay over the odds prices for a diet pill that offers limited value and may make you feel ill, this is could be the way to go.